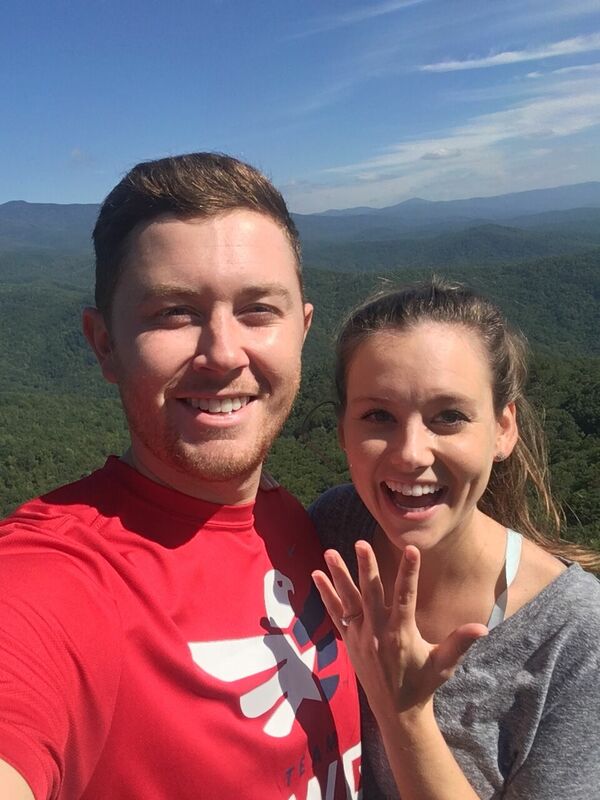 The man voted “Country Music’s Hottest Bachelor” will soon give up the title as Scotty McCreery and his longtime girlfriend Gabi Dugal are engaged. The couple plans to wed in 2018. 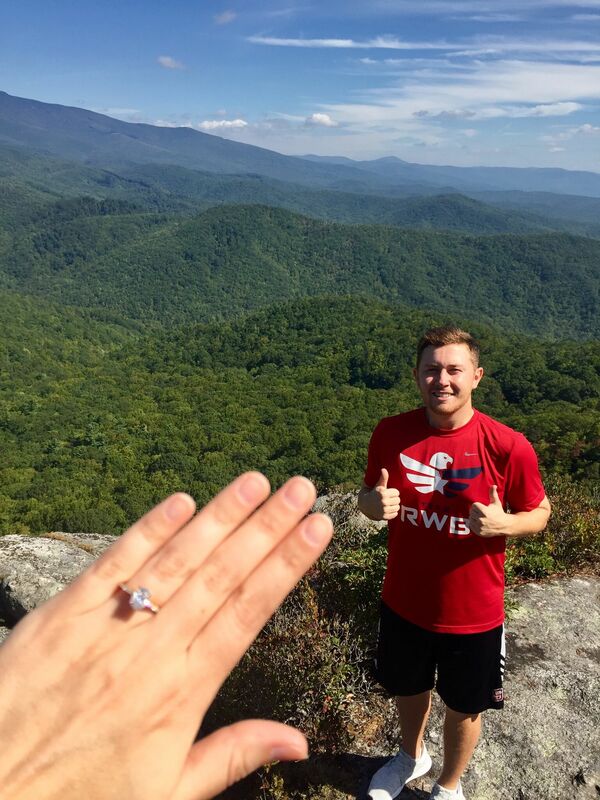 McCreery proposed to the love of his life today at one of their favorite places on the planet: the mountains of North Carolina near Grandfather Mountain. The singer/songwriter asked Dugal to go on a hike with him on their favorite trail, which they discovered just last year. Walking up the mountain, the ACM, BMI and CMT Award winner patiently waited for the perfect moment to ask his all-important question. 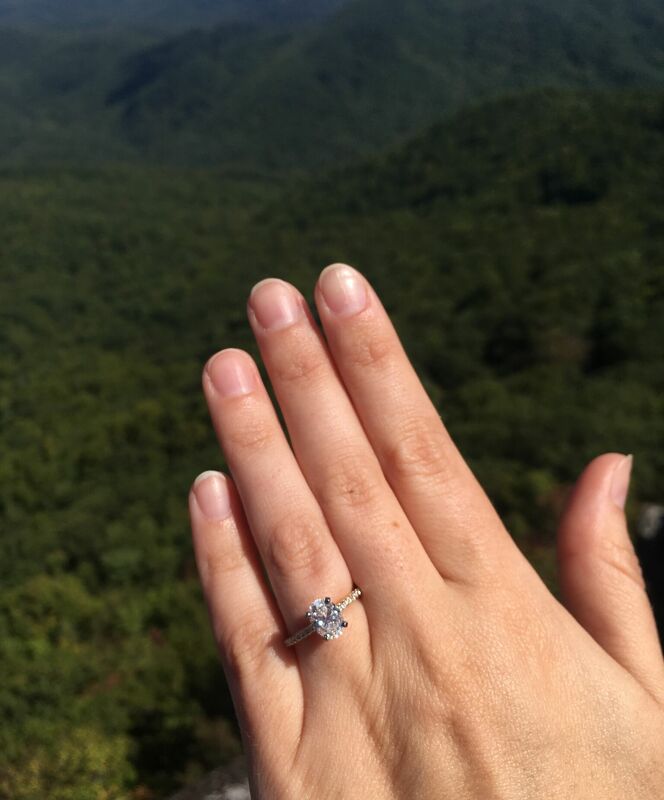 When the two arrived on top of the mountain surrounded by stunning views of lush green forests, McCreery got down on one knee, presented a ring he had helped design specifically for her, and asked Dugal to be his wife. The couple met in kindergarten in Garner, North Carolina where the young entertainer made enough of an impression on Dugal that she wrote “Mrs. Gabi McCreery” encircled with hearts in her diary at the time. 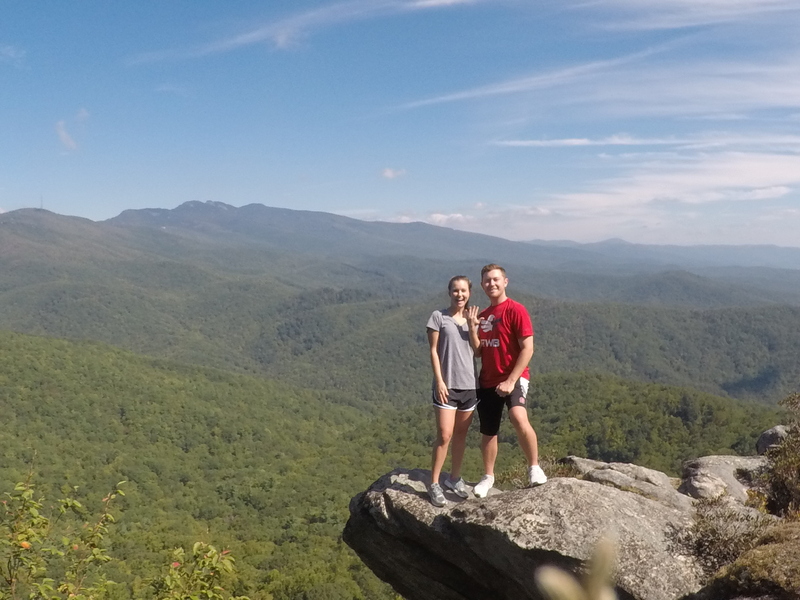 The two friends grew up together in the close-knit community, and began dating almost six years ago during their senior year at Garner High School. Dugal has appeared in several of McCreery’s music videos, including “The Trouble with Girls,” “Feelin’ It,” and “Five More Minutes.” In his book Go Big or Go Home: The Journey Towards the Dream which was released in 2016, McCreery brought their romance into the public spotlight. She frequently accompanies him at award shows, red carpets, and events, and has won the respect and adoration of his fans. Dugal is a graduate of the University of North Carolina, and currently works as a pediatric cardiac nurse at Duke University Hospital. McCreery is currently on the country singles charts with his poignant Top 40-and-climbing hit single “Five More Minutes” which has already received more than 22 million streams. The music video, which debuted on People.com in May, has been number one on GAC-TV’s “Great American Top 20 Countdown” for six weeks. The entertainer has been in the recording studio working on his new album, which will be released on his new label home, Triple Tigers Records / Sony Music Entertainment, in 2018. He was the surprise opening act for Garth Brooks in Sioux Falls, South Dakota last Friday (9/22) to the enthusiastically screaming delight of nearly 13,000 fans. McCreery made history in 2011 as both the first country artist and the youngest male artist of any genre to debut his first studio album, the Platinum-certified Clear as Day, at No. 1 on the all-genre Billboard Top 200 album chart. All three of his albums have debuted at No. 1 on a Billboard album chart, with current combined sales nearing 3 million copies. He’s earned one Gold single and three Platinum singles and achieved two Top Ten hits with “Feelin’ It” and “See You Tonight.” The latter song earned McCreery both his first BMI Award for writing one of the Top 50 Country Songs of 2015 and his first Music Row No. 1 Challenge Coin. He won the 10th season of “American Idol” in 2011; was named the ACM New Artist of the Year in 2011; won the CMT Music Award for Breakthrough Video of the Year (“The Trouble with Girls”) in 2012; and American Country Awards for new Artist of the Year in 2011 and Breakthrough Artist of the Year in 2013. In 2016, McCreery released his first book, Go Big or Go Home: The Journey Toward the Dream, and won the Rare Country Grand Ole Opry Moment of the Year Award for his live performance of “Five More Minutes” which became an internet favorite viewed by millions on YouTube. For more information and his current tour schedule, visit http://www.ScottyMcCreery.com. Love this article and the pics!! SOOOO happy for Scotty & Gabi! !